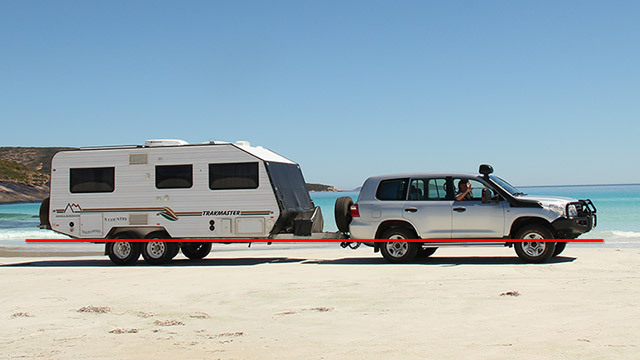 There are guidelines set out to make towing as safe as possible for the benefit of all people travelling on Australian roads. Failure to strictly comply with the legal requirements can result in loss of insurance, warranty and not to mention the compromised safety of yourself and your loved ones. For the ease and relevance to this article, a caravan will be the example of a tow load in place of a trailer. This is the total mass of a fully loaded, unhitched/free standing caravan including water, fuel storage and even luggage. The ATM stamped on the Compliance Plate of your caravan is the maximum total allowable weight legally permitted by the manufacturer and must not exceed the towing capacity of the tow vehicle. A trip to your local weigh bridge will accurately measure your ATM. This is the total weight remaining on your caravan axle/s when it is fully loaded and connected to your car (not including the weight of your car). 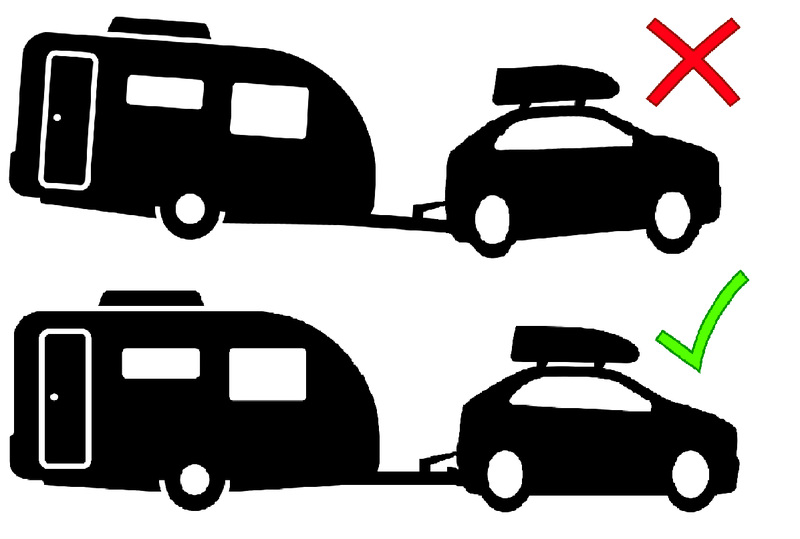 The car will generally take a minimum 10% of the load of your caravan weight (ATM) when connected, so your GTM will therefore always be slightly lighter than your ATM. As the GTM is the remaining weight on the caravan axle/s, this weight must not exceed the rating for the axle/s brakes fitted. If it does then larger brakes may be required to make it legal. Think of your Tare weight as the weight from factory as built, this means before you fill your water water tanks, fuel storage containers and load your caravan up with luggage, tools food and cutlery etc. This is the maximum weight of your fully loaded tow vehicle only, set by the vehicle manufacturer. This is the maximum weight of your fully loaded tow vehicle and caravan combined, set by the vehicle manufacturer. Refers to the weight your caravan puts on the tow ball of your car. This can be measured by using a tow ball scale or calculated by subtracting the GTM from the ATM. Tongue weight is usually at least 10% of your total fully loaded caravan weight (ATM) as a general rule of thumb. Insufficient Tow Ball weight is a major cause of uncontrolled caravan swaying and should be checked before travelling, loading your caravan heavily towards the rear can easily cause this. Putting all this into practice means reading the compliance plate of both your vehicle and caravan and making sure the numbers stack up according to manufacturer’s specifications. If you are over loaded on your caravan, it is sometimes possible for an authorised caravan manufacturer/repairer to increase the ATM and GTM of a caravan by assessing the axle group and possibly upgrading the size of the electric brakes to make it compliant. It is not possible to increase the tow vehicles GVM, GCM or maximum tow rating (a smaller than maximum rated tow bar may already be fitted which could be upgraded to the maximum allowable). The tow vehicle rating and specifications should be the first consideration when planning to tow a caravan, it will determine what size and weight caravan it can safely tow eliminating the possibility of potential accidents even the most experienced caravanners cannot avoid.